Quiet simply- Industrial HEMP products are environmental, renewable, reusable and recyclable. There is no other industry, raw material or plant that can match its capacity for products which have the same carbon negative result. It is for this reason that Panacea has ongoing organization for education and manufacture of Industrial Hemp products for renewable industry and sustainable development. Note - Industrial Hemp is the non-psychoactive, low-THC, oil seed and fiber varieties of the Cannabis sativa plant. Industrial Hemp has absolutely no use as a recreational drug and is not "Marijuarna". Panacea is currently attempting to begin an educational industrial Hemp production program in Australia. If there are any interested parties who currently hold a license to produce industrial hemp in Australia and can help please contact Panacea Our goal is produce 20,000 different types of educational Hemp based products to help create a curricular for a renewable industry. Industrial hemp for fiber and grain from france. In one paragraph, for humanity, there is no other crop on this earth which is as useful.There is no other crop that can produce the same amount of products with the same negative carbon footprint. 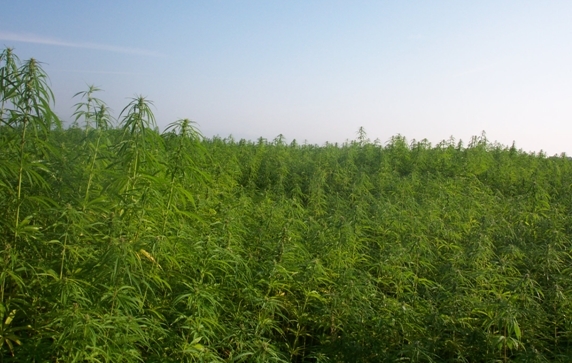 A renewable or sustainable industry is not possible with out replacing the current industrial process with 20,000 Hemp products.Yet policy does not enforce this and the education system does not teach sustainable development with industrial hemp.There is NO other renewable raw material that can eradicate the industrial chemicals out of our world at the source other than adopting the Hemp industry. Basic necessities of life like: Food—seeds, oil, flour, medicine—salves, anti-nausea,toiletries—soap, shampoo, lotion,textiles—clothing, towels, bedding, canvas,household products—carpet, detergent, paint, toys,industrial products—paper, building materials including concrete, insulation, fuel, car parts. 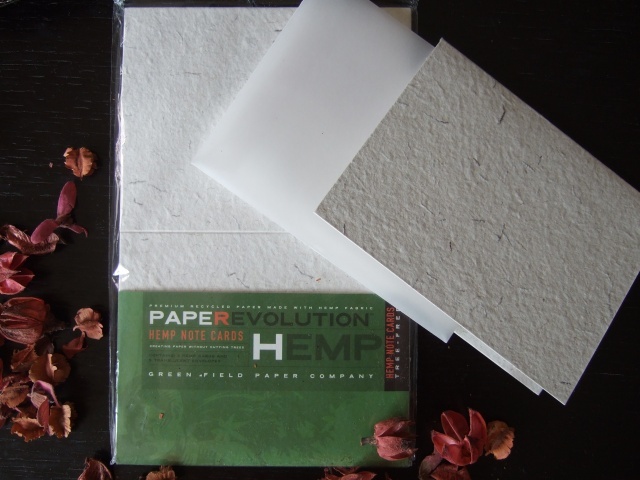 Hemp paper is the most environmentally friendly processed paper available in the world. Hemp resources has the ability to produce chlorine free environmentally friendly whole stem hemp papers. You cannot produce paper with any less of a negative impact on the earth yet why are the world papers still using the alternative? Who is policing this? Food: Hemp seed provides nearly complete nutrition with all 10 essential amino acids, all 4 essential fatty acids (EFAs) in the ratio recommended by health experts, and over 30% protein in its most easily digestible forms, making hemp the ideal protein, and ideal food for human consumption. Feed: Hemp meal provides all the essential protein that livestock require, yet doesn't require any antibiotics to digest. When cows eat corn they cannot digest it, needing antibiotics to keep from being sick, which makes the antibiotics less effective on the humans that consume the beef. Hemp is also an excellent animal bedding for horses. Body Care: Because of hemp oils high EFA content, especially GLA, hemp helps cells to communicate to rebuild cell membranes, which keeps the skin from getting dry by enabling skin cells to hold onto moisture in their natural lipid layers.Oil: Hemp oil can be made into non-toxic paints, varnishes, lubricants, and sealants. The paints last longer, and the sealants are better absorbed by wood. Fuel: Hemp biomass can produce electricity from sulfur-free charcoal, as well as ethanol, yet these industries will be the last to develop due to the high value of hemp food. Hemp can easily be made into biodiesel fuel as well. Cars: European plants are making auto panels from hemp based composites that are biodegradable, half the weight of, more durable, and safer than fiberglass counterparts. Plastics: Hemp hurds and fiber have over 50% cellulose, the building blocks of plastics. Biodegradable hemp plastics could reduce landfill waste and display unique strength characteristics. 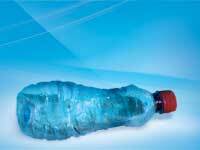 Oil based plastics produce biproducts of sulfur and carbon monoxide and do not biodegrade. Paper: Hemp pulp paper doesn't require toxic bleaching chemicals and lasts hundreds of years longer than paper made from trees. It is stronger, and can be recycled many more times than tree paper. An acre of hemp can produce as much pulp as an acre of trees over a 20 year growing cycle! Homes: Hempcrete homes, a mixture of hemp and lime, are fire, water, and rodent proof, with excellent elasticity, strength and breathability, which cuts energy costs. Washington State Univ. found hemp board to be three times stronger than plywood. Clothes: Hemp is among the longest, strongest, most elastic, and most durable fibers in nature. Hemp is stronger, more durable, softer, more UV protective, warmer, and won't mildew or rot like cotton fiber, which requires 25% of the worlds crop chemicals. This is the bulk of the basic necessities of life. Yet there is no educational program or "carbon negative program" specific to reduce pollution and create a sustainable industry through hemp. Panacea is the only one intent on teaching this in such a capcity. Despite Industrial hemp not containing a controlled subsance (THC) you still cannot grow it in the united states for industrial products. Other countries are not as far behind. If you are in the USA please support industrial hemp in the united states. The world's oldest and most versatile crop has the potential to replace all major non-renewable raw materials. It's a vast range of end-uses include nutrition (the most nutritious single food source known), multi-use fibre for industry and communities, and forestry derived fuel replacement. With deforestation running at around 3% per year, hemp offers respite for trees and superior resources for people. Hemp derived fibre is stronger and more versatile than any other plant derived fibre, including cotton and wood. Hemp is also a major resource for construction, creating excellent boards, insulation and 'bio-crete,' a sustainable replacement for concrete.The Carbon Challenge is over. An incentive to change over to Hemp can produce faster emission reduction results then any carbon tax.There can be no scientific argument with Hemp as nature's solution to the Carbon Challenge. Industrial Hemp's incredible power can be harnessed to meet many of the economic, materials, environmental and nutrition needs of humanity in ways that can be sustained indefinitely. This will only be achieved by developing a community based, sustainable hemp cultivation, processing and production model and Co-Franchising. The local and regional production by Co-Franchisees canno0t be matched by any other carbon reduction scheme. Gasification uses high heat to convert biomass into "SynGas" (synthetic gas) and low grade fuel oil. This can be used to run vehicles, generators or for heating. There is no other plant which yields a higher rate of biommass then hemp. The cost effectiveness is in its own class and unmatched by any other plant.Industrial hemp can be grown in most climates and on marginal soils. It requires little or no herbicide and no pesticide, and uses less water than cotton. Measurements at Ridgetown College indicate the crop needs 300-400 mm (10-13 in.) of rainfall equivalent. Yields will vary according to local conditions and will range from 1.5 to 6 dry tons of biomass per acre. There is no waste stream and the system will provide a net carbon reduction due to increased biomass production.Here are some facts and figures which must not be neglected. Employment for hemp production, calculated at one worker per 40 acres farmed, results in a total of 1,700 to 4,275 new jobs. Creation of a "Carbon Sink" to absorb carbon cannot be matched by any other plant.University research shows that hemp is one of the fastest growing biomasses known to man. It produces up to 25 tones of dry matter a hectare a year. The effect this crop has on cleaning soils must also be in the equation.Many individual writers, scientists, community groups, environmental / development NGO’s , politicians and governments have identified the problems the challenge facing individuals, groups and governments is to make cities sustainable, livable places, by necessity repairing the ecological damage and restoring ecosystems. This requires a reversal of currentpatterns of development, to living within our ecological “means”; in effect, a transition to a new ecological paradigm. As Eric Hobsbawm stated:We do not know where we are going. We only know that history has brought us to thispoint. However one thing is plain. If humanity is to have a recognisable future, it cannotbe by prolonging the past or the present. If we try to build the third millennium on thatbasis we shall fail. And the price of failure - the alternative to a changed society - isdarkness. 135Cannabis’ potential value to the new paradigm is manyfold, as it provides the basic raw materialfor a multitude of products that will allow the transition towards self reliance and a conserver society, on the ecologically sound basis of a carbohydrate economy. These hemp pages are essential introductory information to increase your comprehension of the beneficial results in instigating hemp-production in both third world and western countries. Hemp production should be embraced for sustainable development and also as a replacement Bio Fuel. Panacea have also published useful facts laying out the benefits of establishing Hemp-Bio-Fuel stations globally – for the goal of public lobbying support to count at the federal level. Your petitions and our facts detailing the benefits of Hemp Bio Fuel stations shall be submitted to politicians to let them know that governmental support should be provided. Many past and present independent studies attest to the significance, facts and justification for using hemp for sustainable development.A perfect back round on the damage the current industrial products cause, and example a HEMP replacement is the best renewable solution can be found in the following facts provided by the story of stuff dot com. This example justifies A progressive regulatory MANDITE TO IMPLIMENT renewable products made from Hemp. Extensive examples of the use of Hemp in renewable products are shown by historical facts – also, the facts lay out the deliberate suppression (industrial espionage) of Hemp production. Despite the historical records and facts, the environmentally sustainable direction dictated by Hemp is not pursued by modern industry or university faculty courses. The only obvious reason for this is pure ignorance due to lack of Hemp education, and also the threat to financial self-interests – of people whose industries would be, over-night, made redundant by Hemp production. This is the reason why, when you do see Hemp products, you will notice that they are much more expensive than related normal products, or, at best, “normally” priced. 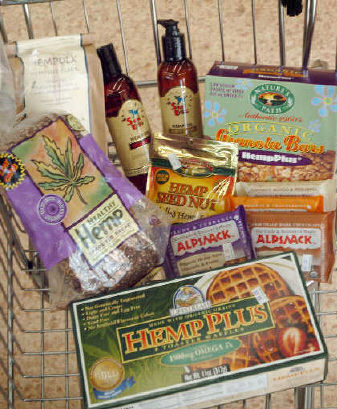 Hemp products last the longest in their product genres. Hemp has the capacity to offer a unique solution to save this planet (pause and reflect on that for a second). The 'selling out' of hemp and prevention of further critically needed public dissemination can be countered by grants given to a non-profit-organization (such as Panacea) towards hemp production. Panacea can then distribute hemp products, at cost, to provide environmental benefits in a non-profit role. Panacea's hemp production program can also make third world countries self-sufficient by creating 50,000+ products, including the basic necessities for life, food, energy, clothes and shelter. There are currently no internationally mandated laws in place to regulate and enforce the implementation of renewable products made of Hemp for sustainable development. Therefore the profit motive of hemp products is to be considered legal and reasonable, thus retarding the overall capacity of Hemp to provide environmental solutions. Facts confirm that Hemp production is far superior to any recycling program that could ever be created. Unfortunately, there is also the willing, and consciouss, suppression and bad-mouthing of Hemp to be dealt with. Hence Hemp production needs a non-profit research and development center to result in worldwide to-capacity production, also positive education as to the worldwide benefits. Quote- In the early 1900’s Henry Ford recognized that fossil fuels could be replaced by biomass such as hemp, cornstalks, waste paper, etc. Such biomass can be converted into methane, methanol or even petrol, and its mandated use would reduce acid rain, end sulfur based smog and reverses the greenhouse effect. Methanol can even be converted into a high octane, lead free petrol using a catalytic process developed by Georgia Tech University and Mobil Oil Corporation. 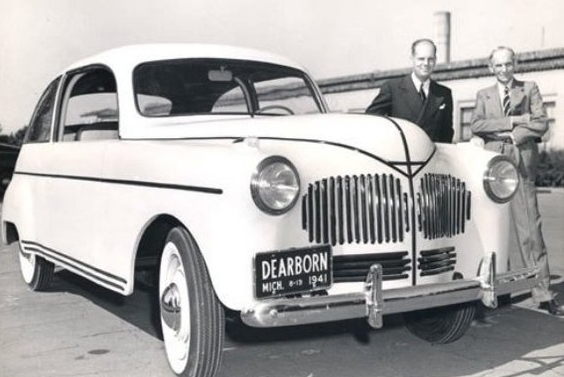 Ford produced a plastic car made from hemp, wheat straw and sisal, which weighed 1000 pounds less than an equivalent size steel car and had ten times the impact strength of steel panels. It wouldn’t dent and it wouldn’t rust - no wonder after 12 years of research they suppressed it. -End quote. 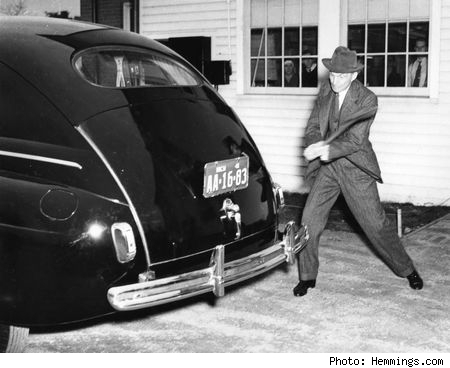 Way back in the 1930’s, Henry Ford was hard at work in the alt-fuels sector, and in 1941 he constructed a hemp-fueled and hemp-bodied prototype car. The "plastic" body panels were composed of 70% cellulose fibers, including industrial hemp, mixed with a resin binder, and apparently they were pretty sturdy: Below is a guy beating on the trunk with an axe, he failed to leave a mark. 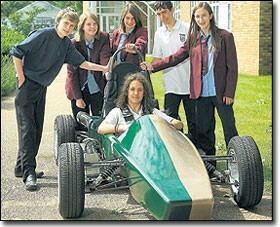 "After twelve years of research, the Ford Motor Company has completed an experimental automobile with a plastic body. Although its design takes advantage of the properties of plastics, the streamline car does not differ greatly in appearance from its steel counterpart. The only steel in the hand-made body is found in the tubular welded frame on which are mounted 14 plastic panels, 3/16 inch thick. Composed of a mixture of farm crops and synthetic chemicals, the plastic is reported to withstand a blow 10 times as great as steel without denting. Even the windows and windshield are of plastic. The total weight of the plastic car is about 2,000 pounds, compared with 3,000 pounds for a steel automobile of the same size. "- December 1941 issue of Popular Mechanics. When you make a car strong enough to last a while, car companies are out of business. No wonder they killed these ideas. Lets not forget the hemp fuel that was used, this concept is still not utilized to today to capacity. 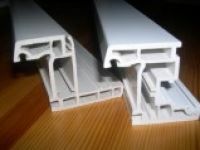 Additionally, the company called Eco fibre produce car parts and sundry building materials available. They produce these groundbreaking products in order to defeat the current toxic industries which are to be considered counter-productive for human, plant and wildlife health. 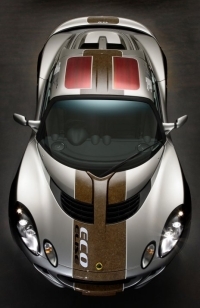 The Lotus company has announced its latest Eco-friendly car made from hemp. 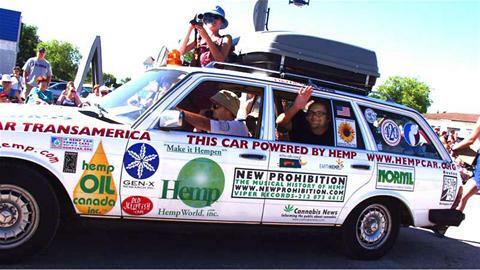 The whole car isn’t made from hemp but hemp has played a large role in it’s construction. legislation to make all new cars from hemp can be done to deal with climate change. One only needs to think of how many lives can be saved on the road by using this material.Cannabis electric car to be made in Canada The car's body will be made of an impact-resistant composite material produced from mats of hemp, a plant from the cannabis family. As a structural material, hemp is about the best. '— Nathan Armstrong, Motive Industries Inc.
* Sustainable materials - using materials such as hemp, sisal, and biodegradable woolen fabrics. * Cleaner manufacturing processes - by using a totally water-based paint system. * Renewable energy generation - through the use of two solar panels on the hemp hard top. * Reducing carbon miles - by using locally grown hemp fibers, as well as recycled packaging. * Efficient driving techniques - by assisting the driver in driving more economically. A green light informs the driver the most optimal time to change gears for best economic performance. * Weight reduction - a lighter car means a more economical car. The Eco Elise is 32 kilograms lighter than the (already lightweight)Additionally. (Natural News) PSA, the French manufacturer for Peugeot and Citroen, has recently initiated its Green Materials Plan. This plan intends to increase car parts made from natural materials 600 percent by 2015. They are making a few parts now that are based on flax and hemp. PSA's Green Materials Plan focuses on three areas: Biopolymers to replace plastics derived from oil; Natural fibers from flax and hemp mixed with other materials, such as wood chips; And recycled materials from shredded plastic bottles mixed with glass fibers.The plastic interior door panels made by PSA are already 50 percent flax fibers pressed with wood chips. Other parts, including mirror and windshield wiper mountings, use hemp instead of glass fiber in their material mix.Oil based plastics in cars make up to 20 percent of a car's weight on average. Of that 20 percent, only six percent is currently green or cellulose based. PSA's goal is to increase that six percent to 30 percent of the plastic used. Hemp is legal in France, so further advances with hemp for car parts may unfold. Laurent Bechin, PSA's natural-fibers specialist, pointed out that the hemp used does not produce marijuana. "It would need about two tons of this material to produce one joint", he quipped.Hemp and flax for building cars is not new. It was actually done in the USA by Henry Ford while hemp was legal in 1941. The experimental model's body was seventy percent made of fibers from field straw, cotton fibers, hemp, and flax. The other 30 percent consisted of soy meal and bio-resin fillers.Ford's successful prototype was tagged as the vegetable or hemp car.Ford's motivation was green-based for two reasons. He wanted to increase agricultural involvement for materials in the automotive industry to improve the farmers' economic plight. There are over 50,000 Hemp products which are more renewable AND more durable than ANY of the products provided by the cotton and other industries, wood-chipping Petro-Chemical etc. One only needs to review the facts reported in the documentary Addicted to Plastic, Released in 2007 to see the CRITICAL NEED for hemp to replace plastic. Hemp plastic has the capacity to completley replace the counter productive effects and need for normal plastic. And there are MANY. From styrofoam cups to artificial organs, plastics are perhaps the most ubiquitous and versatile material ever invented. No invention in the past 100 years has had more influence and presence than synthetics. But such progress has had a cost.For better and for worse, no ecosystem or segment of human activity has escaped the shrink-wrapped grasp of plastic. Addicted To Plastic is a global journey to investigate what we really know about the material of a thousand uses and why there's so darn much of it. On the way we discover a toxic legacy, and the men and women dedicated to cleaning it up.Addicted To Plastic is a point-of-view style documentary that encompasses three years of filming in 12 countries on 5 continents, including two trips to the middle of the Pacific Ocean where plastic debris accumulates. FACTS show that Hemp Plastic is the only answer to a renewable industry yet why isn't there any government incentives and university curricular's reflecting this? A recent study also proves that a Bio Fuel Power Station (which could be powered by hemp) creates 3 more jobs than a coal power station. Hemp would thus has enemies in the afore-mentioned industries and also in the nuclear industry – amongst sundry energy cartels. The best way to convince the public that Hemp is useless is to bad-mouth it, associate it with smelly hippies who never do anything and at the same time “worry” whether that bag made out of Hemp you are carrying might get a baby “high” if it were to be, say, set on fire, “by accident”. It is difficult even now, in 2008, to speak of Hemp, without people wondering if you are a drug-smoking hippie only looking to get their daughters stoned. The mere fact that Hemp is associated with the smoking of "weed", or "marijuana" by the public, is worrying proof of this. How can the public become convinced that the growing of Hemp for fibre is not the same as growing Weed for its intoxicating effects? What is it going to take to make the public realize that they have been purposefully made afraid of a plant that could single-handedly stop our environmental pollution – that the reason the public is afraid of Hemp is not because of the safety of our children, but because of the safety this rampant fear provides for the current industrial complexes and established corporations? It should come as no surprise that hemp has been suppressed because of its alternative energy capacities, which would cause the cotton, petro-chemical and wood-chipping industries to become irrelevant. This is why Hemp production needs support from non-profit organizations, which can be aided via public grants and the implementation of public laws to provide security for farmers and to ensure the benefits of Hemp. 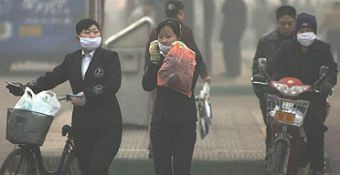 protect themselves from the pollution. All Iron foundries, smelting plants and cement factories can be replaced with HEMP!. Therefore division of the Panacea centre away from the energy research and development is to be established and commissioned towards the following objectives. Established facts on Hemp –induced sustainable development will be presented in order to confirm the benefits and necessity of Hemp. -The establishing of hemp education and hemp programs for production in third world countries, in order to produce, out of Hemp, 50,000+ sustainable renewable products, thus allowing them the security and independence via production of their own food, clothing, building materials, and energy. This division of the Panacea Center will also provide the aforementioned environmental solutions to interested parties in the western countries. -The submitting of Hemp into usage in a bio-mass energy plant, to trial the suggestion by Dr Mark Diesendorf, who teaches sustainable development at the Institute of Environmental Studies at the University of New South Wales. This creation of Hemp Bio-Fuel Stations would reach towards a higher integrated environmental goal, providing further jobs and commencing worldwide organization to change the laws in order to support the development of open-source energy-saving implementations. It is important that any agencies involved in protecting the environment, committed to saving the forests, etc., along with any and all food aid agencies that provide relief help and aid towards third world countries, EVALUATE THE FOLLOWING FACTS and COMPARE THEIR FINANCIAL CONTRIBUTION to what a lay-out of grants for education and development towards Hemp production, INCLUDING FOOD, could accomplish. We must attack the source directly, not merely treat the symptoms. For additional information on how Hemp can benefit humanity, please visit the Hemp global solutions site. UPDATE- We here at Panacea are currently looking to start growing Hemp for nutrition - to be able to donate the highly nutritional results to third world countries. Any Food Aid Agency that wishes to provide support and help towards this method of getting rid of famine, should contact Panacea to begin new, efforts to battle worldwide malnutrition and hunger.